One of the things I’m trying to master on my gardening journey is overwintering larger amounts of vegetables to get lots of early spring harvests. 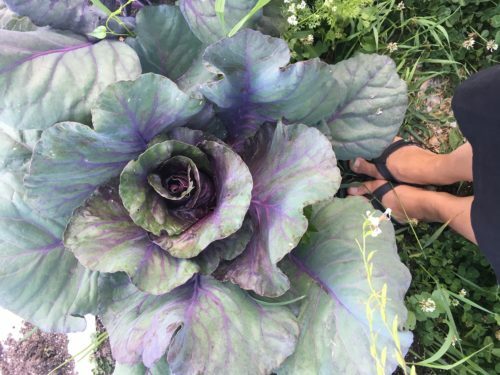 The first year I overwintered vegetables it was totally unplanned. But it was so amazing to have spinach growing in our garden before I’d even directly seeded the spring crop! I was hooked on overwintering. Since then I’ve done a decent amount of experimenting with overwintering, both on purpose and accidental in our zone 5 area. Another great ways to enjoy early spring harvests is to use hoop tunnels or start your seeds indoors to grow seedlings. We often use our indoor grow lights & greenhouse set up for an early spring start. This all requires more work than overwintering though! 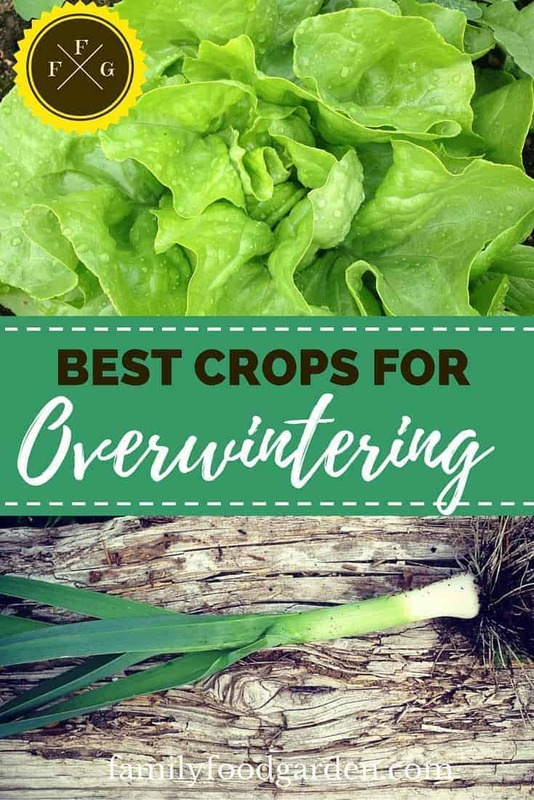 The idea with overwintering is timing your vegetables to be the right size before winter sets in so they can be dormant for the winter & start producing growth and harvests in the spring. 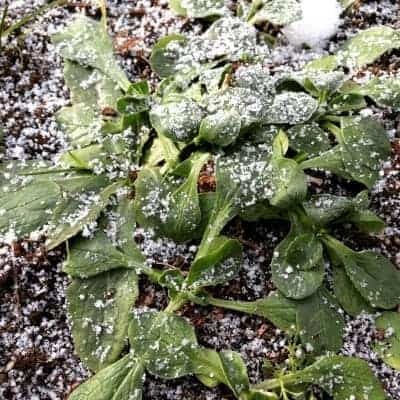 In general the lower to the ground the vegetables are, the better chance of overwintering because the snow provides protection or the plants are less exposed to cold winter winds. How cold your winter gets is also a factor; some winters it only dips down to -10C/14F, other years it’s -20C/-4F for our zone 5. Varieties make a big difference when it comes to overwintering. Not every carrot, lettuce, or cabbage can be overwintered, certain varieties are bred for better cold hardiness. To keep a plant in a dormant state that will start sprouting new growth in the springtime before bolting to get a harvest of new leaves. (spinach, arugula, kale..). You’ll get anywhere from 2-5 weeks of leaves before they flower and go to seed. Perennial plants that remain in the ground year after year to harvest in the spring (asparagus, sprouting broccoli) are also plants that technically overwinter but I’m only including the annuals & biennials in this list. 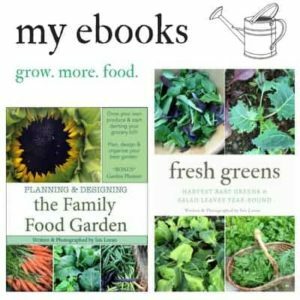 After a few years of experimenting here’s my recommended list of vegetables for overwintering in zone 5. What a beautiful rosette of green in the middle of winter! 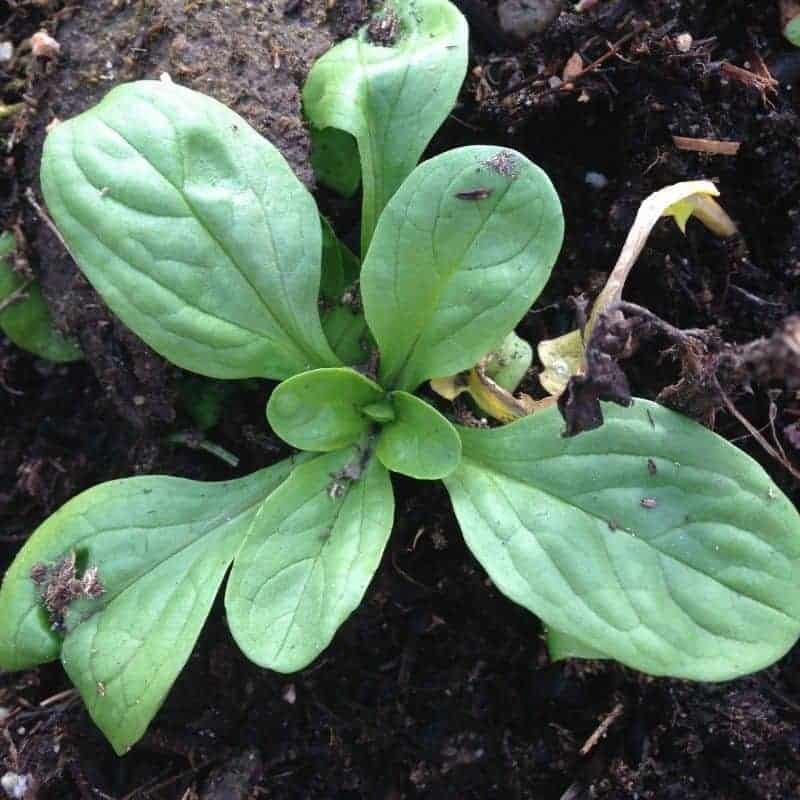 We’ve experienced early snowmelt in February and this pretty plant was a welcome tasty, nutty and smooth green for salads or sauteed. If you were to plant a whole bed of this crop, it holds out better in the winter than spinach and starts to regrow at only 2C/35.6F. I’ve also been told it self-sows very well, so if you have an area of the garden you can devote to this crop it will take care of sowing for you! We left this crop unprotected with only snow cover. Once the snow melted in the spring I made a low tunnel over the plants. I highly recommend mache as an easy one for first time overwinter gardeners! It grows incredibly fast in the fall too and can be sown later than most overwintering vegetables. 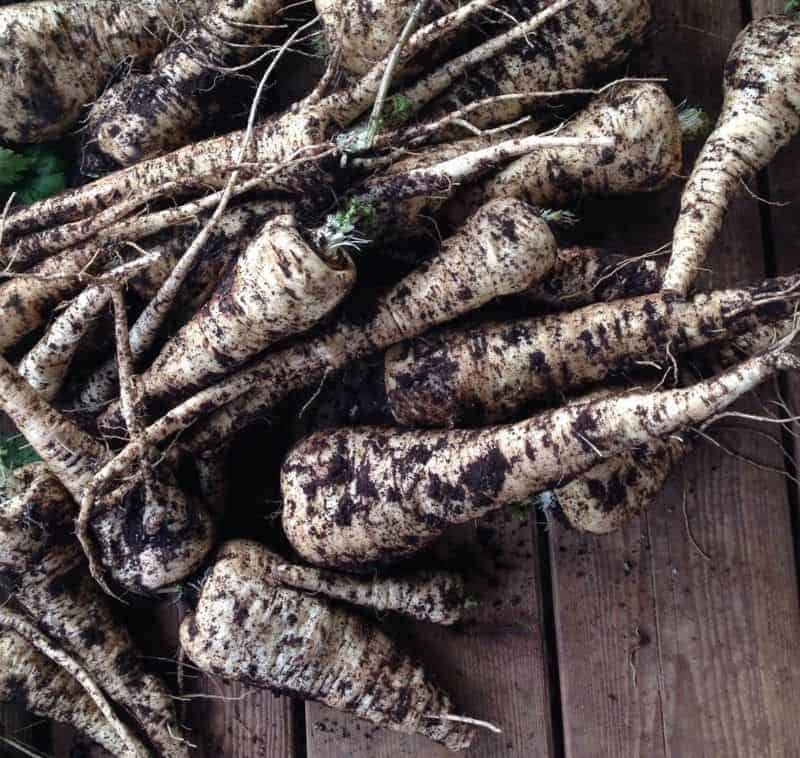 If I had to choose one vegetable to overwinter it would be parsnips. Left without protection, this amazing nutty and sweet root vegetable tastes amazing in the springtime. Parsnips can be an acquired taste but they taste better after many frosts have made them sweeter. They take a long time to grow compared to the overwintering greens, at least 100 days to maturity before you can leave them in the ground to overwinter, but they’re worth it. 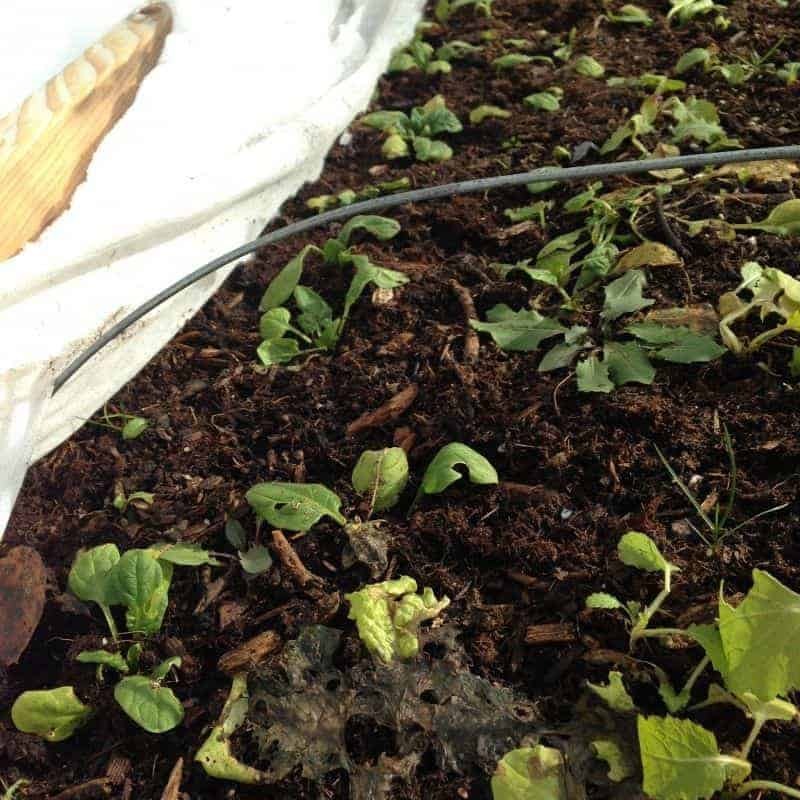 If you mulched them with leaves and protected them with a tarp or row cover you could harvest them all winter long so long as the ground isn’t frozen. We left them in the ground with no protection and dug them out as soon as the ground thawed. Our ground sometimes thaws out in the winter and then freezes again which means we can often harvest parsnips during those winter months. This crop is one of the hardiest and will sprout lots of leaves once the weather warms up in the springtime. It will go to seed once the weather gets hot, but the greens will be ready weeks sooner than your direct sown spinach. 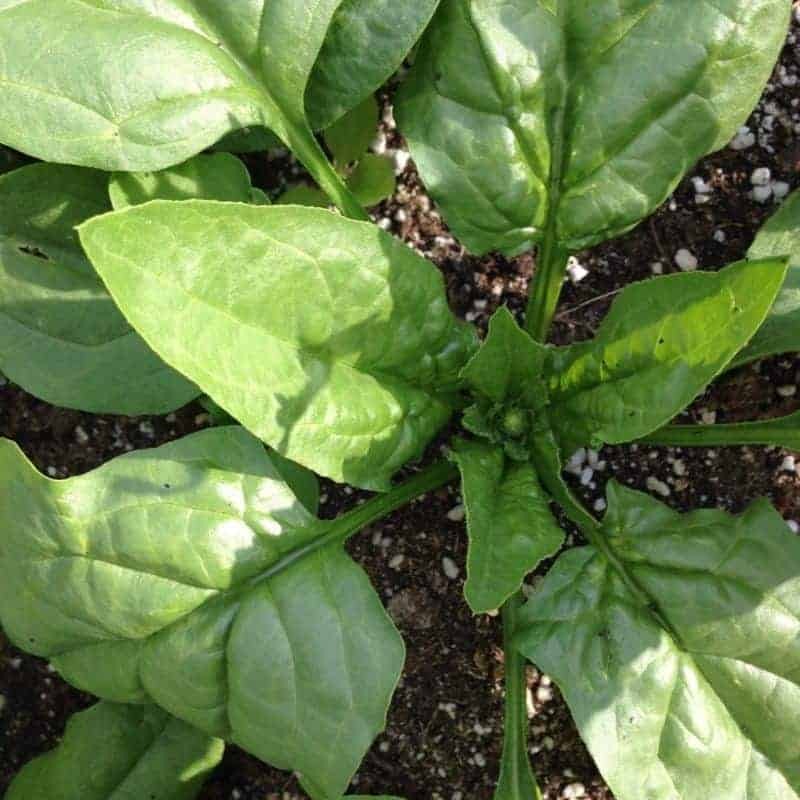 I usually leave spinach in the garden with no protection. 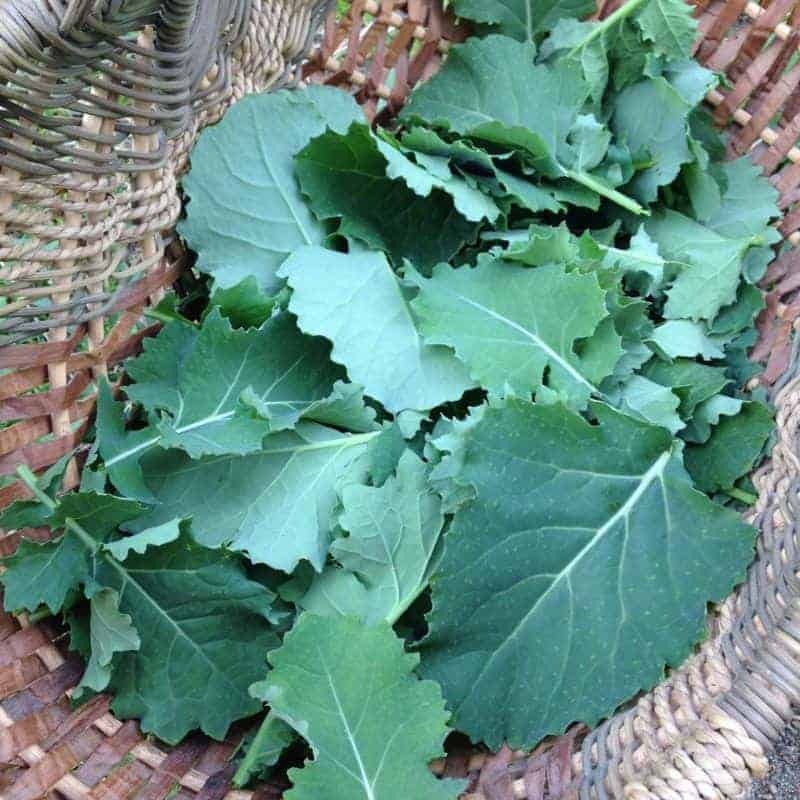 If you have a winter low tunnel or cold frame you can harvest this healthy green crop all winter into the early spring months. 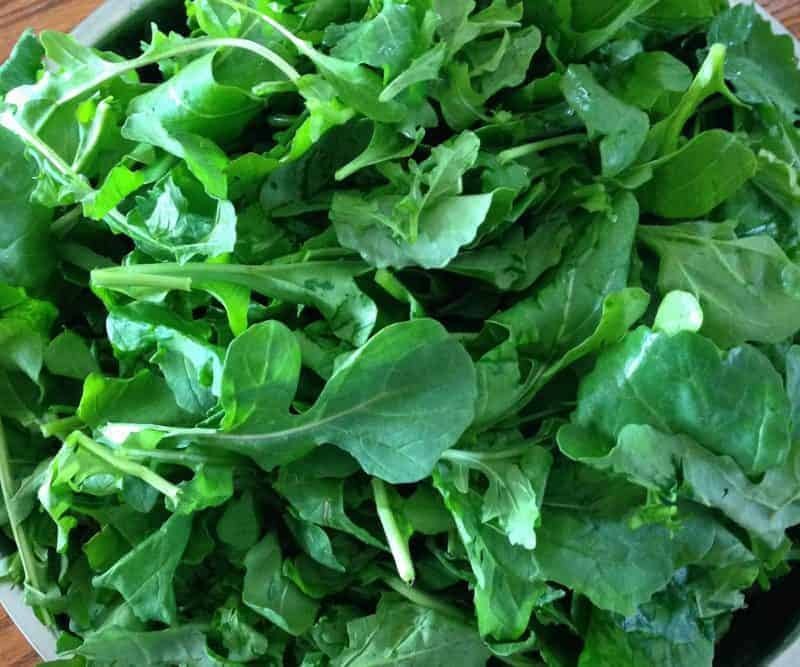 Arugula is another fast growing leafy green that loves the cooler weather, and ranks with spinach and mache for overwintering potential. Grow lots of it in the fall and you’ll have tasty arugula that isn’t as spicy as the ones grown during warmer springs. Ours has self-sowed before and sprouted at 2C/35.6F although it didn’t continue to grow until a month later once it became warmer. I’ve overwintered kale in two ways: with the larger plants sprouting leaves from a main stem (pictured above), and the low to the ground baby greens sown in the fall (pictured below). The taller plants won’t always overwinter as well being more exposed to the harsh elements of winter. In general snow protection helps and the more low to the ground the kale is, the better protection it has. 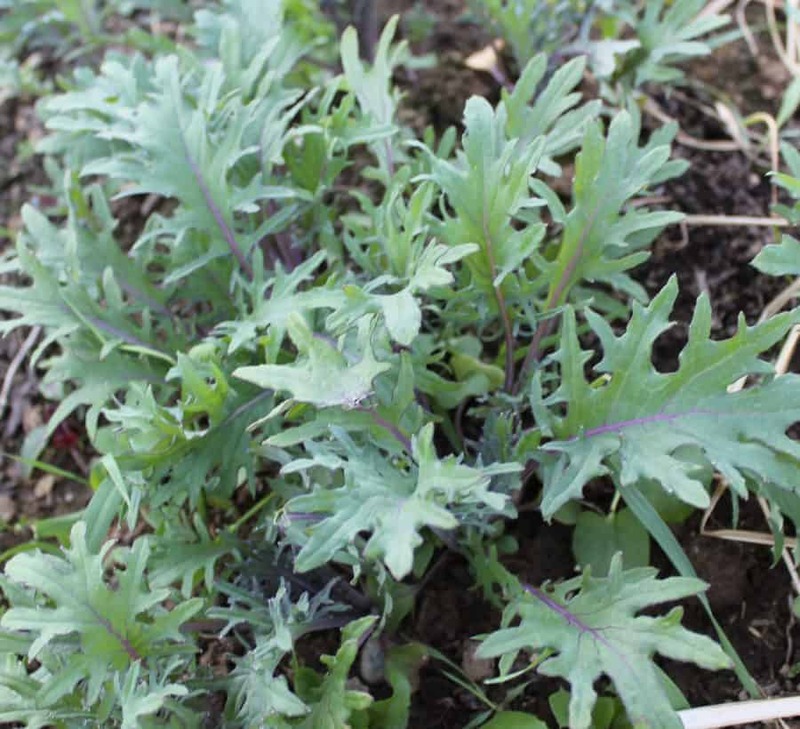 Most of our fully-grown kale doesn’t end up sprouting in the spring because they’re appealing to deer and tend to be damaged for spring greens. 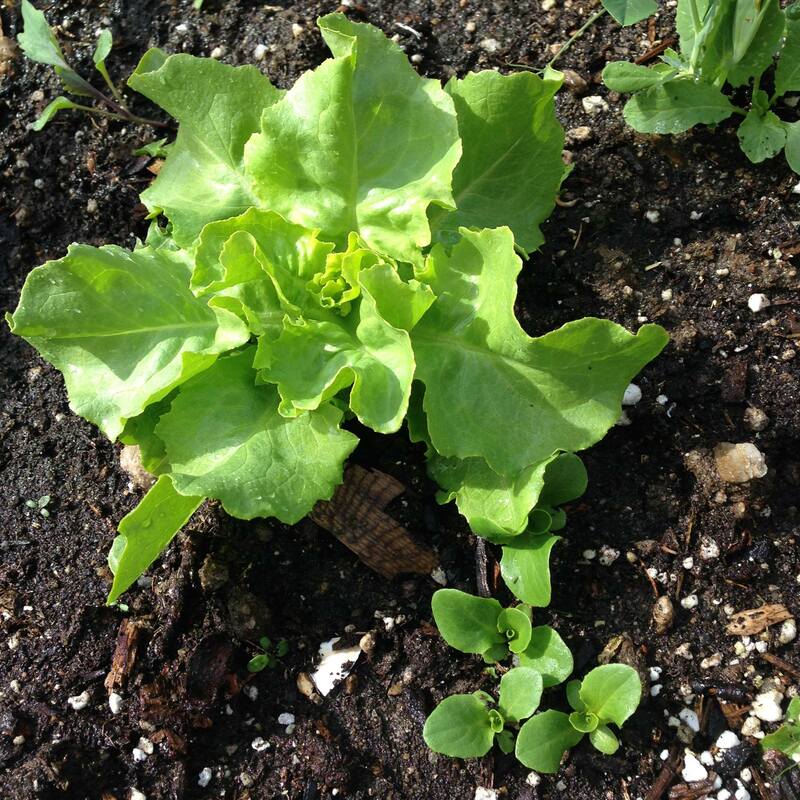 Winter Density lettuce (pictured above) overwinters great. As you can see is much larger the the direct sown winter density lettuce for comparison. I left it without protection however I it doesn’t overwinter every season, it’s been weather and snow pending for us. Carrots can be harvested during the winter months and early spring but variety makes a big difference. Napoli & Autumn king are a couple of great varieties that can handle colder temperatures. They taste wonderful and sweeter after frosts like many root vegetables. In general they’re better harvested right as the ground thaws, waiting too long will reduce quality. If you have a low tunnel over them you can harvest all winter. 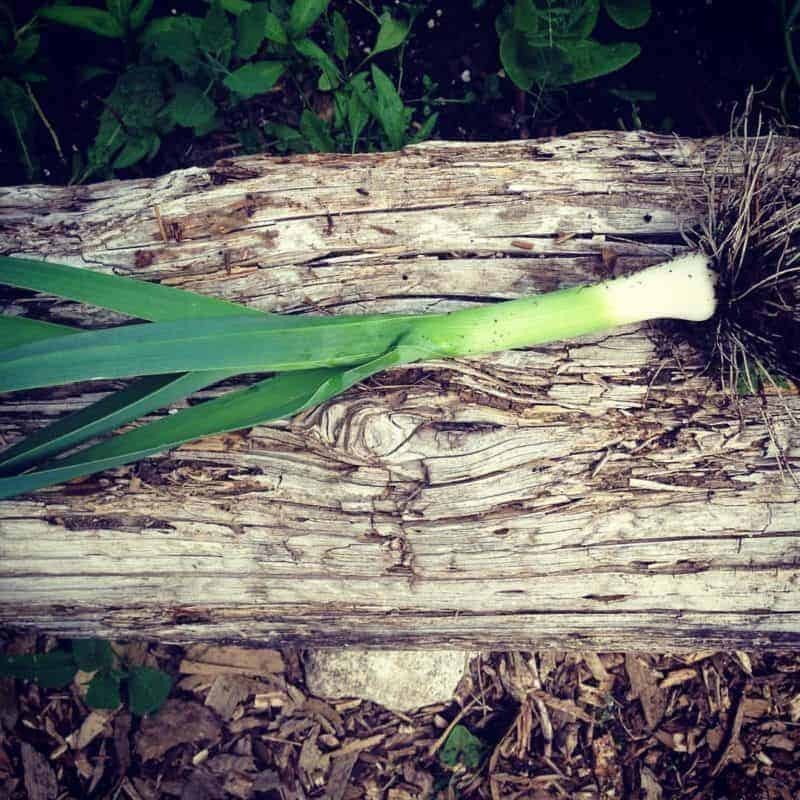 Leeks & Green Onions are crops that can be grown and harvested in late fall and winter, if you leave some in the ground you’ll find them a nice surprise in early spring. 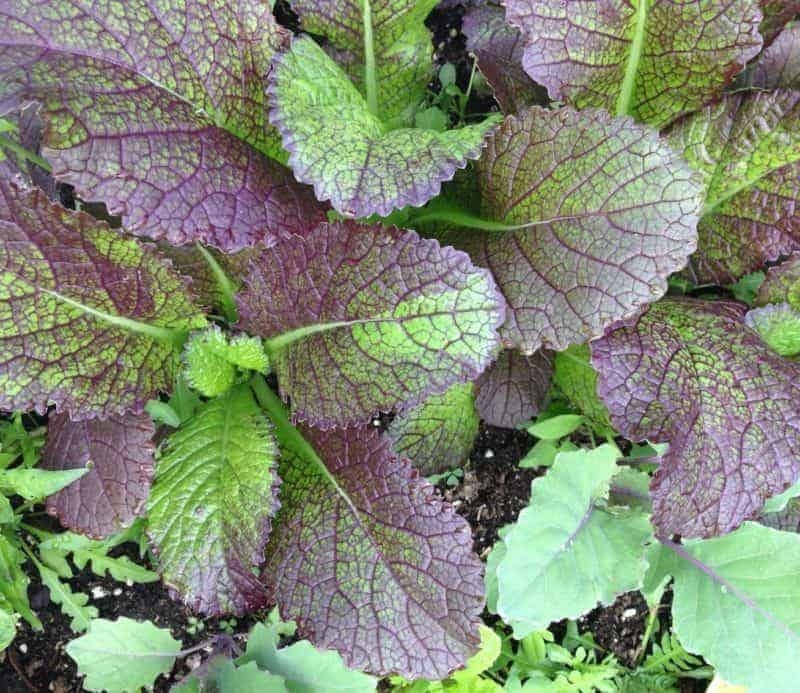 Giant red mustard (pictured below) has a strong spicy taste that not everyone enjoys but it’s far milder when cooked. Our overwintered giant red mustard produced many large leaves before bolting. It actually lasted longer than our spinach did before flowering. Mizuna grew some leaves but flowered faster than the other mustard greens. Overwintering veggies is a fantastic way to gain more yields from your garden! You’ll also be eating fresh food weeks earlier than directly sowing your spring crops. 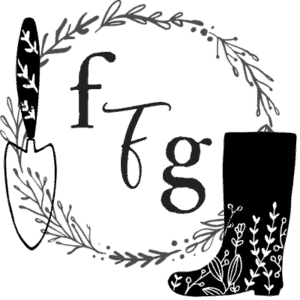 Have you tried overwintering before? What was your experience and favorite crops? Flat leaf parsley and actually cilantro over-winter beautifully with straw mulch and some floating row cover. We over winter our napoli carrots in the ground with a thick straw mulch and they are beautiful and delicious all throughout our zone 5 winter! Thanks for this great list! !